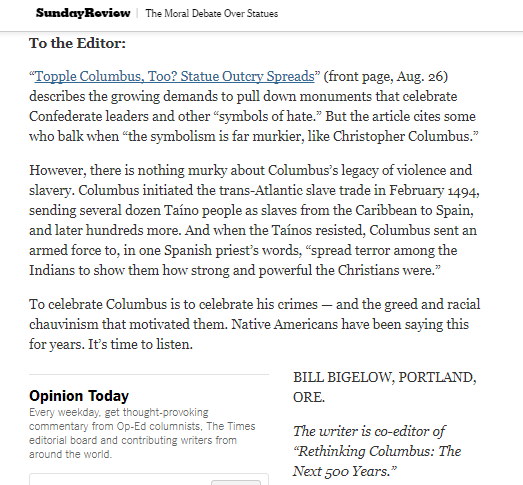 Bill Bigelow, Rethinking Schools curriculum editor and Zinn Education Project co-director, wrote a letter to the editor of The New York Times in response to their August 26, 2017, article about statues and Columbus. The following letter was published on September 3, 2017. Bigelow is co-editor of the popular teaching guide, Rethinking Columbus: The Next 500 Years. 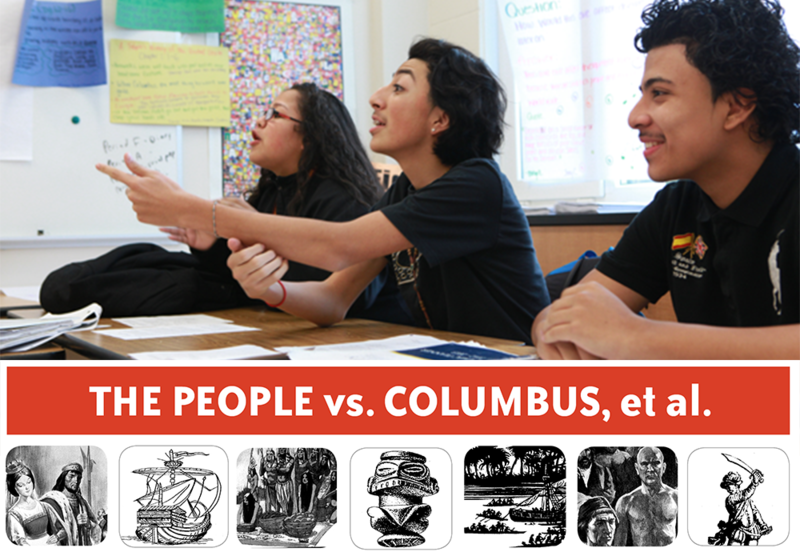 View resources for teachers and students to use in campaigns to abolish Columbus Day. 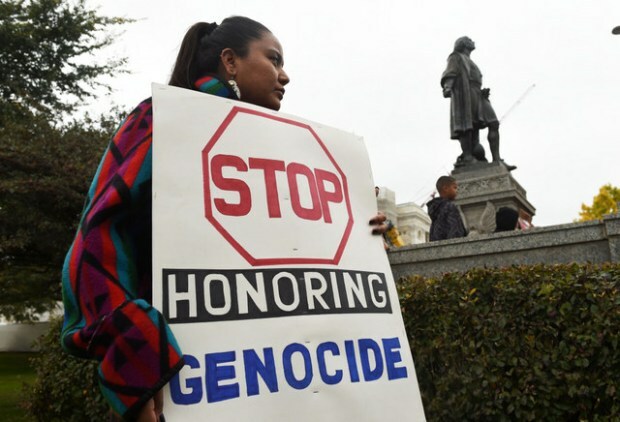 On Monday, Oct. 12, 2015, a group of about 50 people met at the Minnesota Capitol to celebrate Anti-Colonizer Day and to call for the Christopher Columbus statue to be taken down. Image: Scott Takushi, Pioneer Press. 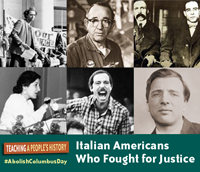 Brief bios of people of Italian heritage who were committed to social justice.